Leave Gossip Girl AloneThe show doesn’t need a revival. Taylor Swift’s Very Nice Friends Dressed As Childhood Heroes for Her NYE PartyLotta wigs. Did Blake Lively Accidentally Predict the Future of Fashion?We’re headed toward a more tailored 2019. Turns Out Blake Lively Was Onto Something With All Those SuitsThe actress was very on-trend at New York Fashion Week. 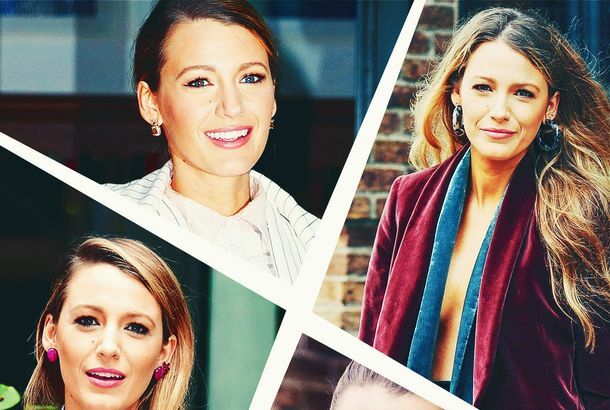 Who Said It: Blake Lively in A Simple Favor or Blake Lively in Gossip Girl?Can you match the Blake Lively Secretive Blonde to her Slightly Concerning One-liner? What Is Blake Lively Trying to Tell Us With These Suits?Her subliminal messages, decoded. New A Simple Favor Trailer: Anna Kendrick Tries to Figure Out Blake LivelyOpening September 14. Blake Lively Has a Love/Hate Relationship With RetouchingShe discussed body positivity with Gigi Hadid in a new interview. An Injury to Blake Lively Shuts Down Her Spy Movie Rhythm SectionA first unsuccessful surgery is contributing to even longer delays. Blake Lively, Amber Tamblyn, Alexis Bledel Celebrate America Ferrera’s PregnancyShe’s expecting her first baby with husband Ryan Piers Williams. 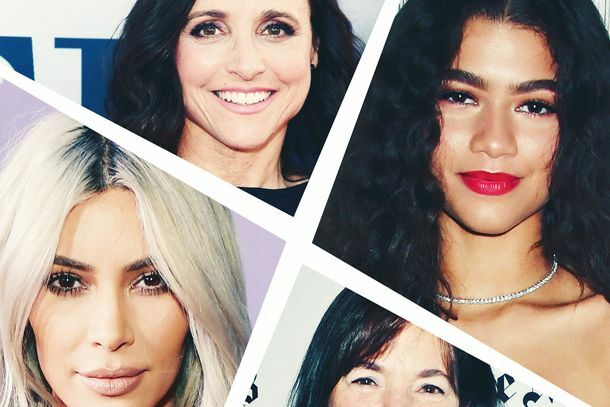 25 Famous Women on Their Favorite DessertsIna Garten, Kim Kardashian, and more on the joy of eating sweets. All I See Is You Is One of the Strangest, Most Satisfying Surprises of the FallBlake Lively’s latest is what a Lifetime Movie directed by Gaspar Noé would look like, and it’s kind of great. 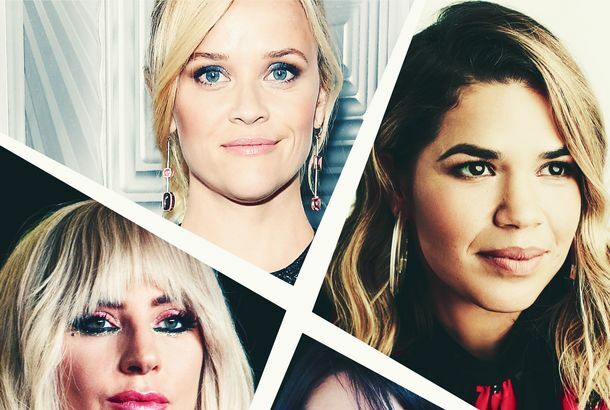 25 Famous Women on Sexual Harassment and AssaultReese Witherspoon, Viola Davis, and more who have spoken out during the Harvey Weinstein case, and others who shared their stories well before now. Blake Lively Says She Was Sexually Harassed by a Makeup ArtistHe allegedly filmed her while she slept. Blake Lively Has Just About the Worst Marriage in New All I See Is You TrailerIf your husband Jason Clarke can’t psychologically handle your corneal surgery, that’s a deal-breaker, ladies. Proud Feminist Ryan Reynolds Addresses All Caterpillars As FemaleA woke male ally to all God’s creatures. Are You Ready to See Blake Lively As a Vengeful Assassin in The Rhythm Section?Saints preserve us, Blake Lively is going to be an action star. Blake Lively Spends Her Time Practicing the Movements From The OABut which movement is her favorite? Nice of Blake Lively to Tag Along on Ryan Reynolds’s Date With Jake GyllenhaalWhat a patient partner. 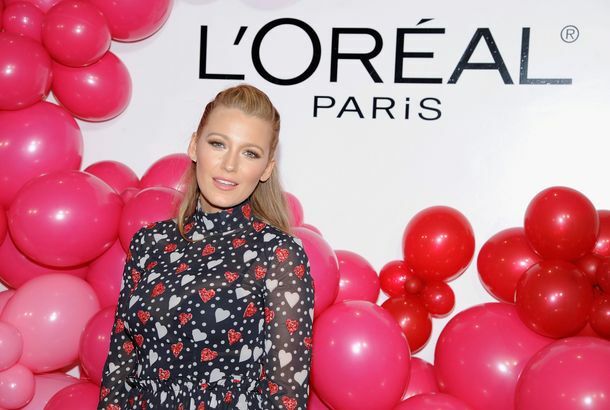 L’Oréal-Covered Party Guests Swarm Blake Lively on Galentine’s DayKelly and Allie make friendship necklaces with L’Oréal spokesmodel Blake Lively. We Finally Know the Name of Blake Lively and Ryan Reynolds’s New BabyNow we know. Ryan Reynolds Explains His Death Glare at Taylor Swift’s 4th of July PartyReynolds finally opens up about that chilling photo. Taylor Swift Is Still Available for Godmother DutiesShe went upstate to see Blake Lively and Ryan Reynolds’s new baby again. Blake Lively Just Gave Birth, Guess Who’s Running to the HospitalSomeone very special is visiting Blake Lively and her brand-new baby. The Madden Brothers, Blake Lively Play PasswordGet these cool cats a show on GSN. Woody Allen Returns to Old Hollywood in Café SocietyHis ’30s romantic drama is a surprisingly graceful work. Blake Lively and Her Sisterhood Can’t Stop, Won’t Stop Hanging OutThe Sisterhood of the Traveling Pants buds goofed around on Instagram together. Blake Lively Loves Shark WeekThe Shallows star digs the real-life counterparts of her gnarly co-star. Blake Lively and Jimmy Fallon Play ‘Know It All’Lively’s self-censorship almost cost her the win. All the Best Fashion at the Cannes Film FestivalFrom KStew to Blake Lively. Blake Lively Says She Has an ‘L.A. Face’ and an ‘Oakland Booty,’ Which, HmmmSir Mix-a-Lot on the red carpet. Pregnant Blake Lively Rises From the Ashes Where Blake Lively Once Stood“Blake Lively” is no more. Blake Lively Wants a Bird to Poop on HerThe heart wants what the heart wants. Taylor Swift and Blake Lively Partied This WeekPlus Oprah, Justin Timberlake, and Kesha.